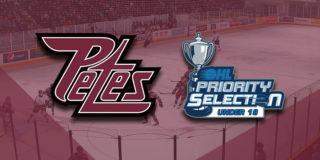 The Petes returned to the PMC for the first of three games before the holiday break. 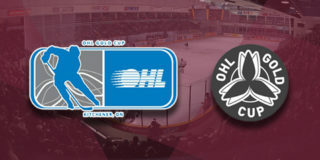 The maroon and white welcomed the Flint Firebirds to town for their only Memorial Centre appearance this season and it would ultimately be the Petes who came away with a 5-2 victory after scoring four unanswered, three of which were in the third period. 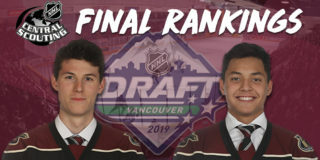 With four minutes remaining in the first period, rookie defenceman Shawn Spearing would open scoring after taking an assist from Nick Robertson and Erik Cermak, earning his first career OHL goal and making the score 1-0 in favour of the maroon and white. Not long after Spearing’s goal there was a short stoppage in play for a review before Flint was awarded their first marker of the night as Ethan Keppen was assisted by Eric Uba and Vladislav Kolyachonok to tie it 1-1. Two minutes later, before the period could end on the single goal tie, the Firebirds struck again with Evan Vierling taking a puck from Keppen and Jake Durham to score his first OHL goal to give his team a 2-1 lead. The teams would leave the ice with Flint holding both the lead and the shot clock in their gloves 13-12 after 20 minutes. The second period would be mostly quiet until the Petes would come back to tie the score at 2 on the power play. Robertson, with help from Cermak and Adam Timleck, would score the period’s lone goal before the buzzer sounded moments later. The Firebirds held the shot clock 27-21 as the clubs headed to the dressing rooms in a 2-2 tie. The Petes would reclaim the lead almost instantly after opening the final frame as Chris Paquette received an assist from Declan Chisholm to mark it 3-2 in favour of the maroon and white while shorthanded. Only a few minutes after Paquette’s goal, and following a near marker that went off the crossbar, Brady Hinz would fire a solid Timleck pass past Cavallin to increase the home lead to 4-2. The Petes would not stop there as their fifth of the night was notched by Liam Kirk courtesy of Paquette and Timleck to put the Liftlock Lads in a significant 5-2 lead over the Firebirds. After a strong final period for the home team, they skated away with a 5-2 win. Final shots were 33-29 in favour of the Firebirds. Timleck, Paquette, and Keppen were named the game’s first, second, and third stars while Spearing was named Mark’s Hardest Working Player of the Game. 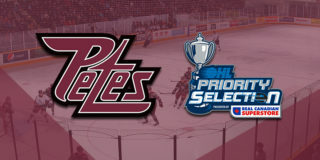 The Petes will travel to Guelph to face the Storm on Friday, December 14 at 7:30pm before coming home to face the 67’s on Sunday, December 16 at 2:05pm that will be followed by a post-game skate with the team. Tickets are available through the Collins Barrow Box Office in person, over the phone at (705) 743-3561, and online. Petes Holiday Flex Packs are on sale now. For just $59.99 (tax included), fans will receive two Petes holiday mugs, two $2 Tim Hortons Tim Cards, and four flexible ticket vouchers to be used for any Petes game between December 29, 2018 and January 30, 2019 (eight games). The regular price of this package is $118, which means fans save almost 50% on the special offer. Contact Mike at (705) 743-3681 x 263.